Gorgeous boy Hershey was found by a kind animal lover. When efforts to find his family failed, GSROC was contacted. 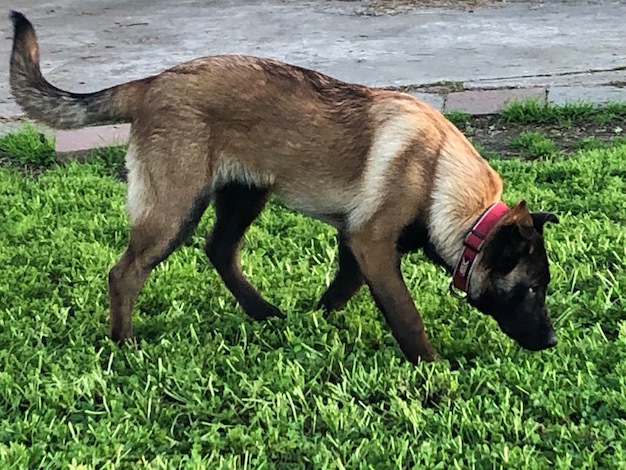 He is approximately 1-2 years old and we believe he is a GSD/Malinois mix. He got along well with the person’s other dogs, but can be food and toy possessive. For that reason, we believe he will do best in a home without small children. Hershey is somewhat leash reactive around other dogs. Our volunteers are working with him to help him decompress. Hershey greets new people with a big doggy grin. Stop to talk to him and he sits and grins wider. He loves to be petted and if you stop petting him, he will gently put his head under your hand and request more attention. 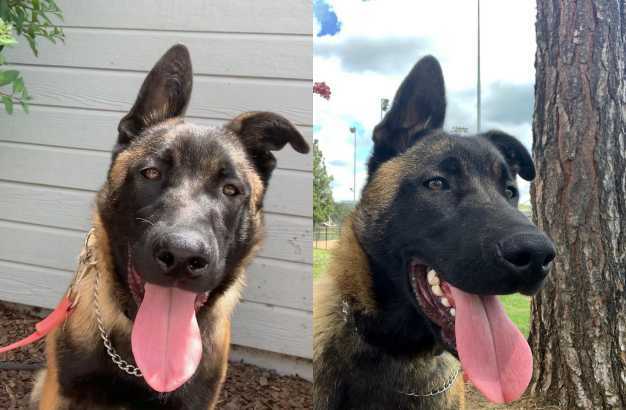 He has lots of energy – after all, he is part malinois – but is happy to use up that energy by your side. Clip on his leash and he will happily assume the role of your exercise buddy. male If you would like to meet Hershey, please complete the online application and an adoption counselor will contact you.